The RNase A ribonucleases are a complex group of functionally diverse secretory proteins with conserved enzymatic activity. We have identified novel RNase 1 genes from four species of squirrel (order Rodentia, family Sciuridae). Squirrel RNase 1 genes encode typical RNase A ribonucleases, each with eight cysteines, a conserved CKXXNTF signature motif, and a canonical His12-Lys41-His119 catalytic triad. Two alleles encode Callosciurus prevostii RNase 1, which include a Ser18↔Pro, analogous to the sequence polymorphisms found among the RNase 1 duplications in the genome of Rattus exulans. Interestingly, although the squirrel RNase 1 genes are closely related to one another (77–95% amino acid sequence identity), the cluster as a whole is distinct and divergent from the clusters including RNase 1 genes from other rodent species. We examined the specific sites at which Sciuridae RNase 1s diverge from Muridae/Cricetidae RNase 1s and determined that the divergent sites are located on the external surface, with complete sparing of the catalytic crevice. 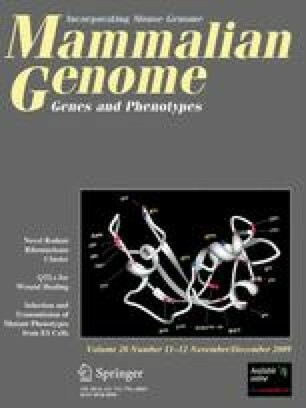 The full significance of these findings awaits a more complete understanding of biological role of mammalian RNase 1s. Steven J. Siegel and Caroline M. Percopo contributed equally to this work. Sequence data from this article have been deposited with the DDBJ/EMBL/GenBank Data Libraries under Accession Nos. FJ659109 – FJ659113. This work was supported by NIAID DIR funding to HFR and National Science Foundation #DEB 9726855 to JMM and VLR.